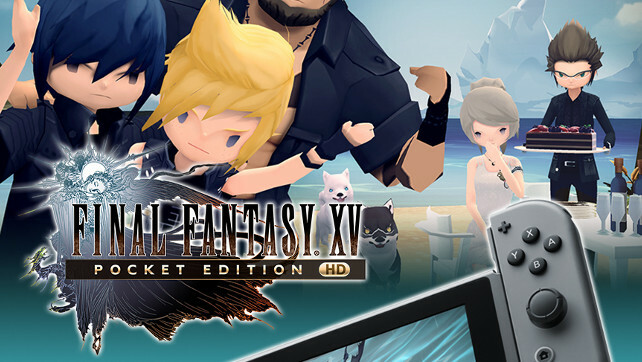 Square Enix is bringing Final Fantasy XV Pocket Edition HD to the Nintendo Switch (it’s actually already available in the Nintendo eShop). That much we already knew. Well it looks like Square Enix is going all in with the Nintendo Switch. On the latest Nintendo Direct it was announced that Final Fantasy XV Pocket Edition HD isn’t the only Final Fantasy game coming to the Switch. High-definition versions of some of the most beloved Final Fantasy games of all time are coming to Nintendo Switch. This includes Final Fantasy VII, Final Fantasy IX and Final Fantasy X / X-2 HD Remaster, as well as the recently released Final Fantasy XII: The Zodiac Age. This is the first time any of these Final Fantasy games has been released on a Nintendo system. In addition, three other games in the Final Fantasy universe will launch on Nintendo Switch in the near future. The leveled-up edition of World of Final Fantasy Maxima launches November 6th, Chocobo’s Mystery Dungeon EVERY BUDDY! launches this winter and Nintendo GameCube co-op game Final Fantasy Crystal Chronicles Remastered Edition with online multiplayer and no need for a link cable comes to Nintendo Switch in 2019. I haven’t played the bulk of these games on the PlayStation and PlayStation 2, and played a little bit of Crystal Chronicles, but after Final Fantasy XI I haven’t played much at all. I’m excited to see these released on the Switch. Are you excited by these releases? Will you be playing through them?